It seems that every year when the Holidays roll around we start the season off with eerie Halloween decorations followed directly by Santa, his elves and Christmas wreathes through out our towns, but what about the turkeys and the pilgrims?! It feels like with each year the Thanksgiving holiday and all of its meaningful traditions die a little more, it has grown to become somewhat of a lost holiday. 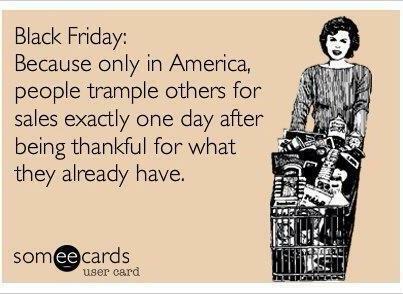 I’ve even noticed this year that it seems black Friday has gained more attention with airtime on TV and in commercials than Thanksgiving has! I would say that this year, especially in light of Sandy and the snowstorm that followed, we have A LOT to be thankful for. Thanksgiving happens to be one of my favorite holidays and there are a lot of traditions in my family that have not yet been ‘lost’ like the Holiday feels it has been. I hope that in sharing some traditions we celebrate during our Thanksgiving everyone will remember to appreciate all of their own and truly celebrate everything we have to be thankful for! In all of my 22 years we have never had a Thanksgiving without it and it’s absolutely delicious! It started with my great grandparents and now four generations later my cousins and I have helped in keeping the tradition alive. 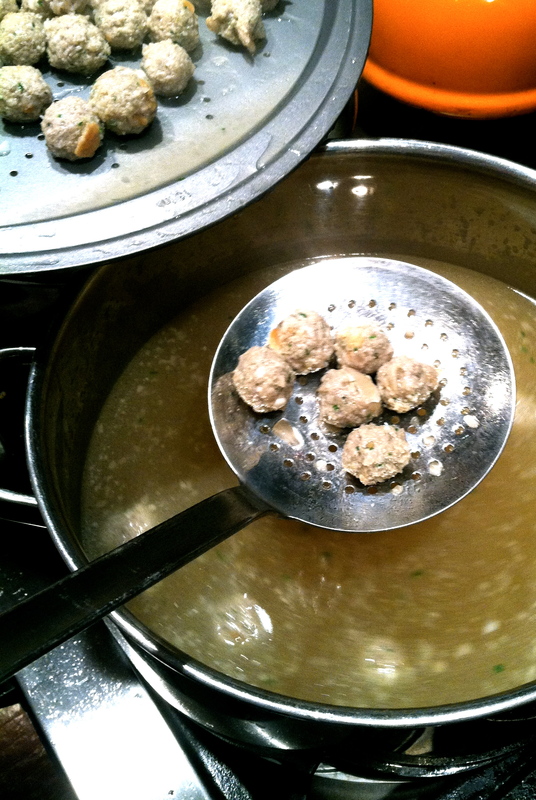 We make everything from scratch, starting with the tiny hand rolled meatballs right down to the vegetable infused chicken broth. 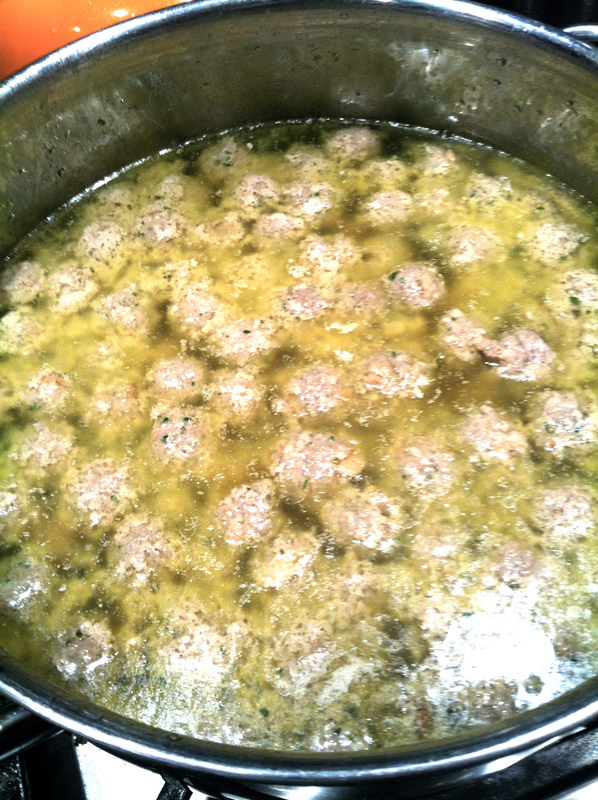 We usually get together a few days before Thanksgiving to start prepping, here are some pictures from this weekend while we were making the meatballs for Thursday’s batch of soup! First sauté the onions in olive oil adding the garlic once the onions start to brown. Set aside and puree the soaked bread for a few minutes in the food processor (or any other device you have to get the job done!). 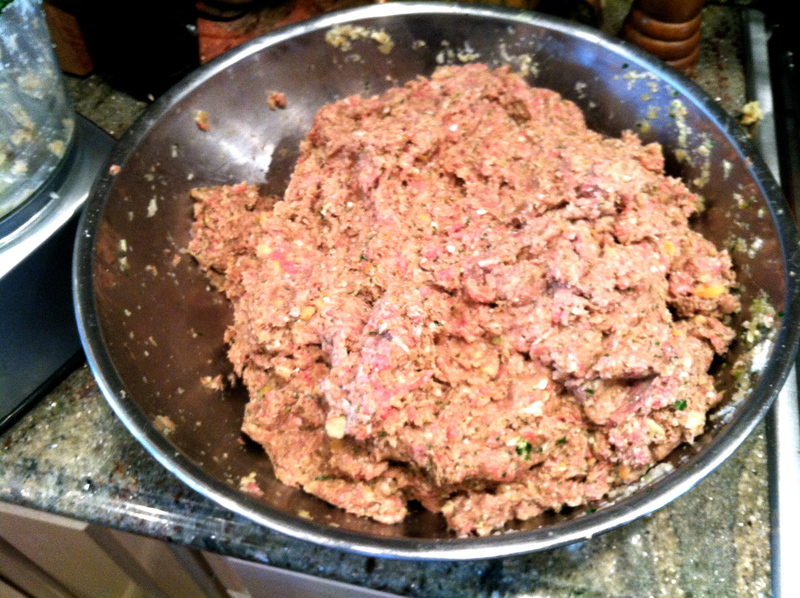 Finally, add the onions and bread along with all other spices and seasoning to the meat and mix. Once everything has been blended together, fry a few in a pan with olive oil for a taste test incase you need to add anything else before cooking them all. 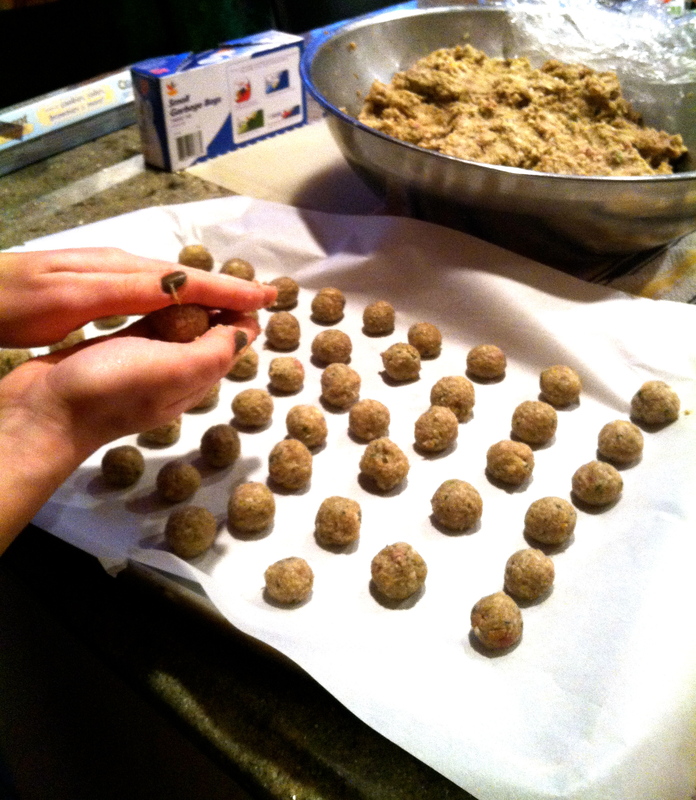 Once we know they taste amazing, we roll alllll of the mixture in to small balls before pre-cooking them in a simple chicken broth. They sit and boil for few minutes and are then stored in the freezer until Thursday when they will be added in to the actual soup broth with vegetables to make our traditional Italian Wedding Soup! Check back after Thanksgiving to see the complete and finished product! What are you looking most forward to celebrating this year? Take pictures during your Thanksgiving and share with us your favorite holiday recipes and family traditions! 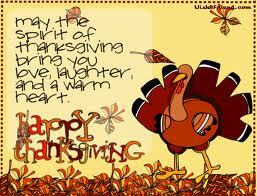 Hope that everyone has an awesome Thanksgiving holiday! Hi I’m Lia and I’m a born and raised Jersey Girl from Bergen County. I come from an Italian family, where food is everything, and have been a food lover ever since my first visit to Il Mulino in NYC when I was a mere two months old. My whole life I’ve frequented restaurants in the North Jersey area as well as in Manhattan. I have always enjoyed cooking myself trying recipes passed down from my Nana and mother as well as my own new creations. I recently graduated from the University of Rhode Island with my B.A in Communications/Public Relations with a focus on Social Media Marketing. I have experience in sales and marketing for the food service industry, hotel and hospitality public relations as well as social media marketing and public relations for start-up companies and someday hope to own my own boutique PR firm. When I’m not working I’m usually out in NYC visiting family or on adventures with friends. I love taking pictures, am very passionate about music and often go to live shows, I try to travel when I can and am a huge make-up junkie! Follow me on Twitter @lmgiachino! 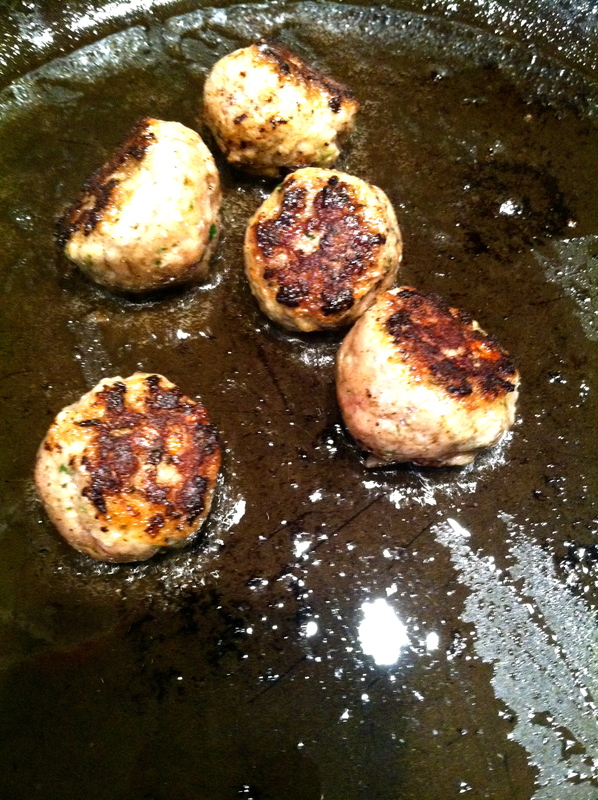 This entry was posted in cooking, Family, Italian, Lia Giachino, New Jersey, nj, Recipe, SCBD, SCBD team, Small Chick Big Deals, Thanksgiving, Traditions and tagged italian, recipe, scbd, thanksgiving, traditions by lmgiachino. Bookmark the permalink.